Ingredients: Chia seeds*, Buckwheat groats*, Hemp seeds*, Colombian Pineapple**. With only 2 tbsp. 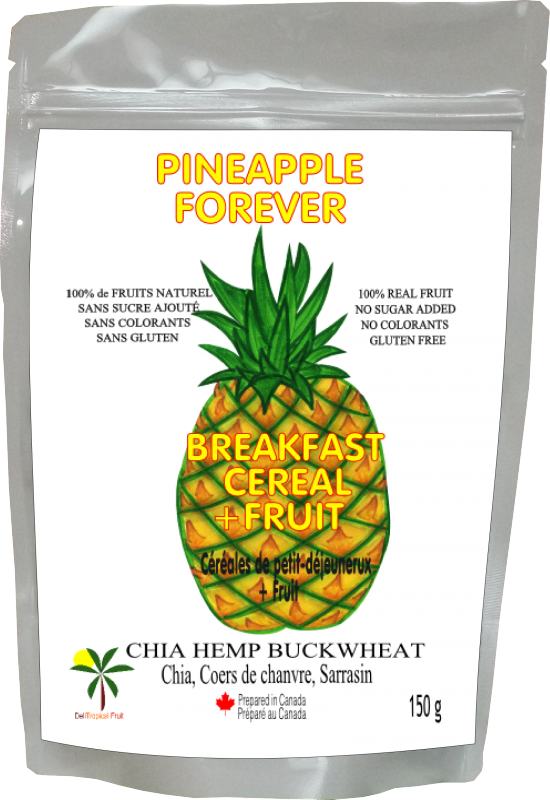 of cereal enjoy a blend of powerful superfood with delicious tropical flavor and added nutrients. The integration of Pineapple with cereals helps with the digestive functions and provides protection to the circulatory system.